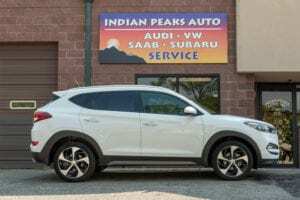 With 100 years of combined experience, attentive and fast service, and a commitment to value, Indian Peaks Auto is your full service, foreign car repair shop! At Indian Peaks Auto, we know you are passionate about your foreign-made vehicle and want it operating effortlessly in every Colorado season. Or, perhaps you have a student at the University of Colorado Boulder and want to be sure they have easy access to a qualified mechanic for regular maintenance or to deal with a problem. We are here to help! No matter the year or model of your foreign car, problems can arise. Wear-and-tear on any vehicle causes unseen issues, strange noises or just lower performance. Don’t spend your time worrying or hesitating to take a drive to the mountains or to go on that skiing road trip, come to Indian Peaks Auto! We specialize in Audi, Saab, Volkswagen, Subaru, and Eurovan service and offer unmatched foreign car maintenance, and repair services that cannot be beaten.